Elderly and in poor health, Mary fulfils her wish to herself to live out her last days on Bruny Island with only her regrets and memories for company. 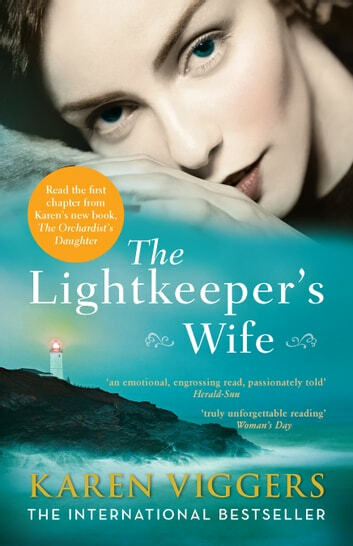 A long time ago, her late husband was the lighthouse keeper on Bruny, and she'd raised a family on the wild windswept island, until terrible circumstances forced them back to civilisation. The long-buried secret that has haunted her for decades now threatens to break free and she is hoping to banish it once and for all before her time is up. But secrets have a life of their own, and as Mary relives the events that led up to the shattering revelation, she realises she needs to trust a later generation to put things right. As she steadily weakens, she imposes herself on the island's ranger, Leon, who is reluctant to become nursemaid to Mary and resentful that he appears to have little choice in the matter. He has problems of his own and the last thing he needs is another drain on his time. Mary's adult children are respectively outraged, non-committal and sympathetic, but no amount of coaxing, pleading or threats will shake her resolve. Her youngest son Tom loves Bruny as much as his mother does, and can understand her primal connection to that wild island, a place of solitude, healing and redemption for them both. Years before Tom had spent a winter working on a base in Antarctica and had returned from that empty loneliness to find his marriage over and his life destroyed. Not for nothing do Antarctic regulars call that gruelling experience The Division of Broken Marriages and Shattered Lives. Still wounded, Tom lives a simple life in Hobart, unable and unwilling to make real connections with people in case he gets hurt again. But then he meets Emma, newly returned from Antarctica and as open and welcoming as Tom is not. Will Tom be healed by Emma's interest, or come to terms with his first trip there? As Mary's time winds down, both she and Tom must face their pasts in ways they cannot even begin to imagine. And Mary finds that the script she's written to the end of her life has taken on a few twists of its own. 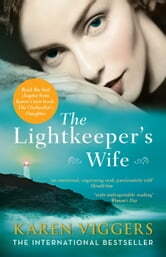 The Lightkeeper's Wife is a moving and redemptive story of love, loss and family, and what we have to do to live the best kind of life. The writing is beautiful. The descriptions have a light as the wind touch and the story lines are gripping! I thoroughly enjoyed this book. I got wrapped up in the book and it had me crying - which to me is a really good read. I found this book enthralling,it was brilliantly written and I could not wait to read each new chapter.